Saaho featuring actors Prabhas, Shraddha Kapoor and Neil Nitin Mukesh is one of the most anticipated films of the year. The mega-budget project is being shot in three languages and people are eagerly waiting to see their Baahubali in a totally different avatar. 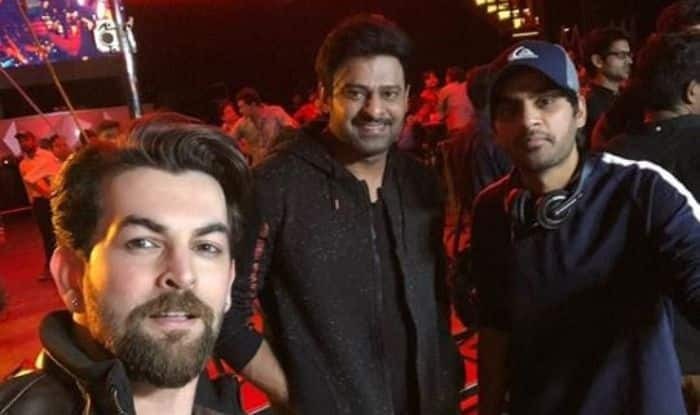 The team is currently shooting in Hyderabad and Neil shared some happy pictures with Prabhas which will surely make your wait more difficult. In it, both of them can be seen posing with the crew members. A couple of months back, the makers released the first video from Shades of Saaho series on Prabhas’ birthday. It gave the glimpse of Abu Dhabi schedule of the film. From flying cars, high-octane actions sequences, to Shraddha Kapoor kicking goons, it had every element of a sure shot entertainer. The stunts are choreographed by Hollywood action director Kenny Bates. This is going to be Prabhas’ first film after the huge success of Baahubali. The actor became a household name after he featured in S. S. Rajamouli’s Baahubali franchise. The movie broke many box-office records and did wonderful business not only in India but at international markets as well. Saaho also features Jackie Shroff, Chunky Pandey and Mandira Bedi in pivotal roles. It is all set to hit the screens on August 15 and will fight the box office battle with Akshay Kumar’s Mission Mangal. On a related note, Prabhas recently graced Karan Johar’s celebrity talk show, Koffee With Karan. He revealed that he is single and is not dating Anushka Shetty. He was also seen dancing his heart out with Rana Daggubati at SS Rajamouli’s son Karthikeya’s wedding.